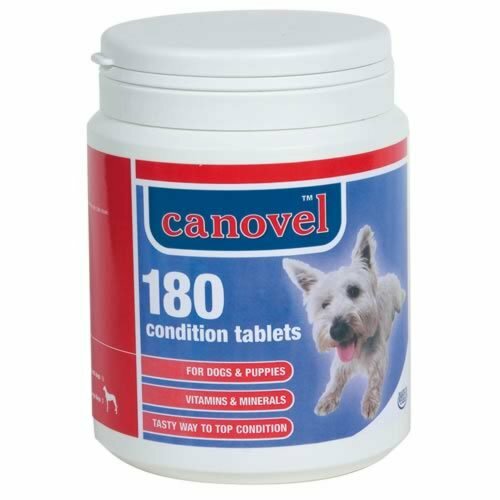 Canovel Condition is a nutritional supplement which provides more than 16 essential minerals and vitamins, including zinc and vitamin E, to support your dog's health and wellbeing. Perfect for supporting the development of puppies, young dogs, nursing females and those recovering from illness. Below are some recent questions we've received regarding Canovel Condition Tablets for Dogs, including answers from our team. Is there any vitamin D in this product and what is the concentration of calcium per tablet?